GO HAM! | GENTS UP! 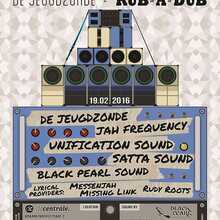 Jeugdzonde inna RUB A DUB style is stricly roots & dub music, brought to you by some of Belgiums finnest selecta's. De Jeugdzonde is back and sticks to the Soundsystem Culture. This time we invite the fairly known Black Pearl Soundsystem. 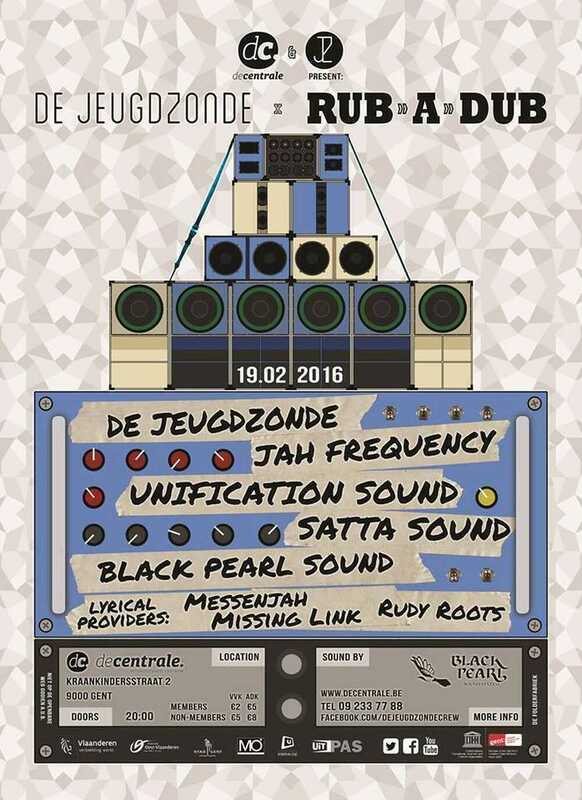 Local Belgian talent will provide the whole evening of roots and dub vibes. Line up: Jah Frequency, Unification Sound, Satta Sound & Black Pearl Sound. Lyrical Providers are Messenjah, Missing Link & All played on the mighty Black Pearl Soundsystem !